The Spring 2019 season of SWSS programs started in Goldberich, Șaeș and Netuș on March 13. The kids were so happy to come to the programs! Especially in the villages, after a long time of not seeing each other, they gave us such a warm welcome! We had a great time with them singing together most of the songs from the previous seasons. We are happy to see, especially in Șaeș, a core group of about 30 kids coming regularly and also bringing friends with them at the programs. They are very well behaving, paying attention to the lessons, trying to memorise the Bible verses. In Netuș, we have also adults coming and some young people. They don`t want to stay with the kids; usually they stay aside watching the program. We are happy they have the chance to hear the teachings. God can work on their hearts in amazing ways! In Goldberich, as some of the kids reached the high school level they started to get involved in helping at the programs, in some small and practical parts. It will be a long journey for them until they will be able to take big responsibilities in the programs, but we have the patience and – hopefully – the wisdom to lead them during this process. We have some mothers coming every week at the programs; this is also an encouragement for us. The semester will have its end on the first week of June. Pray for our team and also for all the kids! Pray for all the seeds planted during these weeks in people’s hearts to grow and to produce fruits! 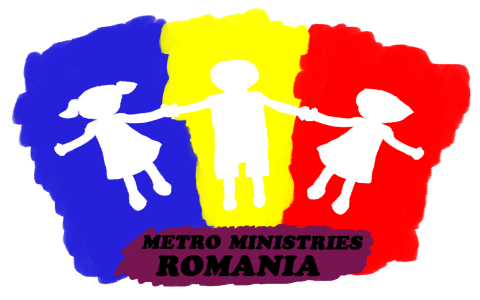 It is always so encouraging to read about your ministry and outreach to the children of Golberich, Șaeș and Netuș. Each and every day we remember you on our morning prayer and we do trust God is doing and will be doing great things through you. May we encourage you with the verses 17 and 18 from Psalm 103.